Dragon and gemstones come in a pair on Dragon Shrine Slot, which makes this creation by Quickspin the cream of the crop. Explore its 5-reels that are filled up with gems and let its sparkle shines! Over here they shine as bright as diamonds. 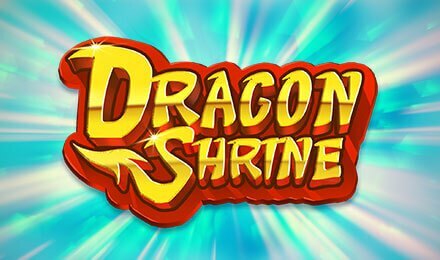 Dragon Shrine Slot, a Chinese themed online slot machine was skillfully brought into being with two main bonus features namely Dragon Stack Respin and Free Spins. Play on the go on your smartphone and tablet for some potential wins anywhere and anytime! Geared up to for an enjoyable spinning episode on Dragon Shrine Slot? To get started, how about adjusting your different betting suggestions? As soon as you are done, you can get the reels to spin for some potential whacking great wins. To electrify the reels, you will find a constellation of high and low-value symbols. The lower value symbols consist of the playing cards – K, A, Q, J and 10 and on the other hand, the high-value symbols are the four colourful gems – purple, blue, light blue and green. As you spin the reels, they will start shining their thousand lights on the reels. Bet Levels: Dragon Shrine Slot has no Bet Levels. Amount of Paylines Selection: This online slot is made up of 40 Paylines that are all fixed. Coin Values: There are no coin values, only the Total Bet that consists of 0.20, 0.40, 0.80, 1.20, 2.00, 4.00, 8.00, 12.00, 20.00, 40.00 and 80.00. Here, the wild symbol is the ‘’WILD’’ sign which is blue and gold. It can replace all the symbols on the reels in the exception of the bonus scatters. What is the bonus scatters on Dragon Shrine Slot? The circular green icon that displays a pagoda is the bonus scatter symbol and it can occur suddenly on reels 2, 3 and 4. The feature is launched when a full stack of dragon parks on reel 1 and all the dragon symbols as well as the wilds are frozen in their position for three free spins. Now, any further wilds and dragon symbols will also freeze in place until the spins come to an end. ctivate the Free Spins Feature by just landing 3 of the bonus scatter symbols anywhere on reels 2, 3 and 4. You will then wallow in 10 Free Spins with Paylines that pay from left to right as well as from right to left. In addition, the Dragon Stack Respins can be activated from reel 5 and also reel 1 and when this happens, the opposite reels (1 or 5) will also be full of stacked dragons. The AutoPlay Feature is also available on the Dragon Shrine Slot and it consists of 10, 25, 50, 75, 100, 500 and 1000 which can be pre-set in advanced. The reels will now spin on its own.